Bulldog Liquidators is a retail liquidation store founded in 2007. Bulldog was created to save people 40-80% off retail pricing, making high end products affordable for everyone. Bulldog Liquidators’ number one priority is our customers and their satisfaction. We ensure that each and every customer gets the best value on quality name brand products. How do we find our merchandise? Bulldog Liquidators purchases surplus, overstock and customer returned product from a number of industry leaders in the Retail Liquidation market. Often times customer returned products have no defects whatsoever and are returned simply because of buyer’s remorse. All products sold in Bulldog Liquidators locations are inspected, tested and competitively priced, often between 40-80% off original retail price. There is a wide range of products that are sold in Bulldog Liquidators’ retail locations. These products include but are not limited to: Patio Furniture, Electronics, TV’s & Computer Monitors, Office Supplies, Cleaning Supplies, Toys, Cosmetics, Baby Goods, Automotive, Sporting Goods, Workout Equipment, Home Goods, and Kitchen Goods. Bulldog Liquidators has been delivering the best value on quality products since we opened in 2007. Our goal is to provide both a superior customer experience and tremendous value for our customers. Bulldog Liquidators was created to save people 40-80% off retail pricing, making high end products affordable for everyone. Bulldog Liquidators has over 30 years of experience in the Liquidation / Asset Management Industry and is passionate about exceeding your expectations. 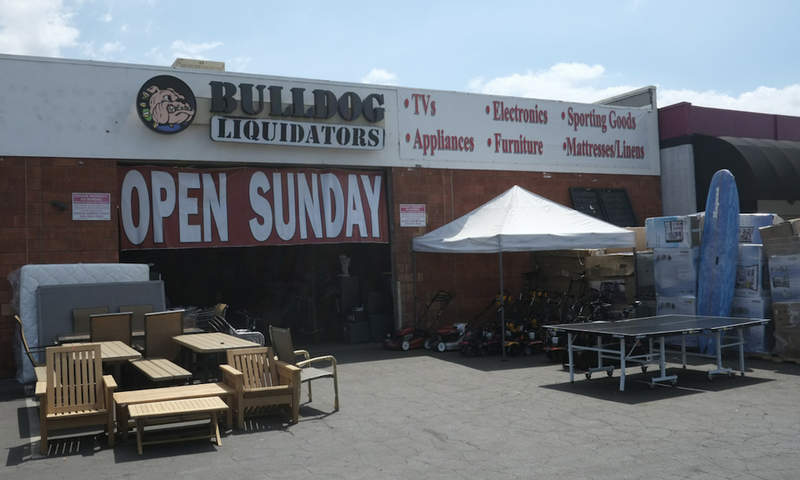 With much success in the Southern California region Bulldog Liquidators has begun opening additional locations throughout the country including Indiana, Massachusetts, New Hampshire, Pennsylvania, and Nevada. Stop by one of our locations today! 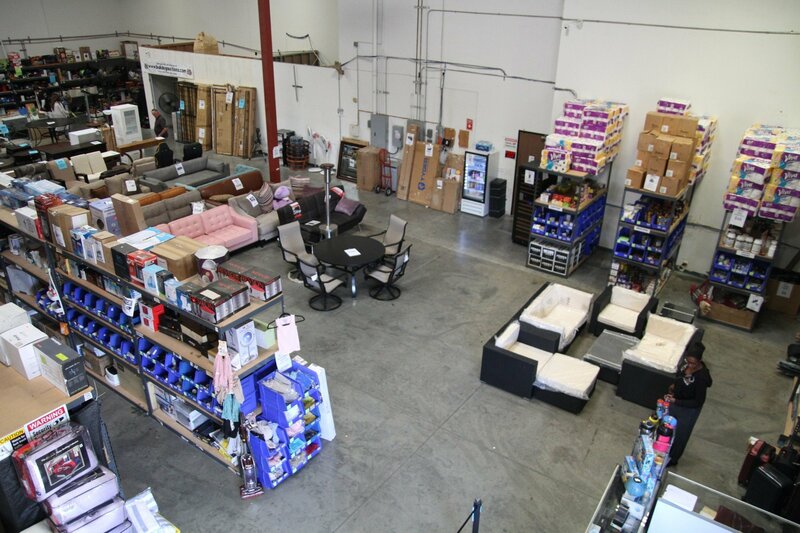 At Bulldog Liquidators our goal is to provide both superior customer experience and tremendous value for our customers. Bulldog Liquidators was created to save people 40-80% off retail pricing, making high-end products affordable for everyone.